X-ray image of PoI-2368-3 during treatment. Note the contorted large intestine, particularly on the upper right, where the splenic flexure has pierced the lining of the stomach. Special Containment Procedures: SCP-2368 is to be kept in a standard humanoid containment cell in an isolated wing of Site-06. SCP-2368 is to be informed that current containment represents a continuation of her incarceration in the British prison system. SCP-2368's observation and containment teams are to minimise contact as much as possible, and teams are to be rotated regularly, with a maximum of 15 days assigned to SCP-2368. All staff working with SCP-2368 are to be given regular medical assessments (including MRI scans) and offered surgical treatment as necessary. Description: SCP-2368 is a humanoid female identifying as Fiona Tulloch, a resident of Rousay, Orkney Islands. SCP-2368 is 38 years of age, approximately 158cm in height and 54kg in mass, and has pale skin and distinctive long red hair. Humans (and certain domestic animals) in close proximity to SCP-2368 are subject to an anomalous effect resulting in the deformation and migration of their internal organs. The effect is gradual during the period of proximity, with the organs affected varying between subjects. The degree of proximity required is unknown, but the effect has not occurred within a period of less than one month. MRI scans indicate that SCP-2368's internal organs are subject to significant deformities. Unlike those of subjects, SCP-2368's organ deformities have not been observed to change over time, and do not appear to have any adverse health effects. Background Notes: Subject was married to SCP-2368 for 19 years prior to date of death. Following an inquest, which ruled the subject's cause of death as heart attack caused by poisoning, SCP-2368 was convicted of murder of the subject. Observations: Normally-developed, well nourished middle-aged male. Heavy discoloration of lower arms and hands, consistent with tannin stains. Cardiovascular system: The heart is large, with a weight of 400 grams. The pericardium is intact. Upon opening, the myocardium was grossly abnormal with evidence of infarction. Both ventricles were severely contorted, with evidence of torsion through 360 degrees. This degree of twisting appears to have partially occluded both the vena cava and the aorta. Background Notes: Subject was SCP-2368's cell-mate at ████████████ prison for two years, ending upon the subject's death. After initial autopsy results reported similar symptoms to PoI-2368-1, SCP-2368 was implicated in the subject's death, and Foundation investigation commenced, leading to initial containment of SCP-2368 on 13/09/2014. Observations: Normally-developed adult female. External examination indicated a gross distension of the abdomen with several fleshy protrusions evident. Gastrointestinal system: The mucosa and wall of the esophagus and stomach are intact without injury. 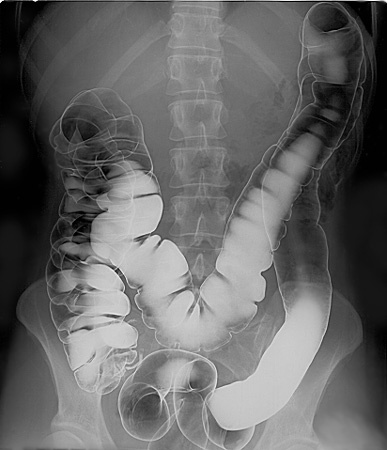 The small intestine is intact, but the jejunum was measured at 15.3 metres, approximately 6 times its expected length. Organ removal identified four gallbladders, and seventeen appendixes, eight of which had ruptured. Cause of death is presumed to be septicaemia leading to organ failure. Background Notes: Subject was the head Foundation researcher for SCP-2368 upon initial containment. After 2 months of close observation of SCP-2368, the subject was scheduled to lead a field assignment in connection with the anomaly. Pre-fieldwork medical scans showed that the anomaly had acted more rapidly on the subject than anticipated, and the subject died suddenly before commencing the field assignment. Observations: Normally developed adult male. External examination did not reveal any physical abnormalities, other than the use of reading glasses. Gastrointestinal system: The mucosa of all digestive organs exhibit severe ulceration and liquefactive necrosis. The splenic flexure of the large intestine appears to have herniated, and to have penetrated the gastric mucosa, causing partial prolapse of the stomach and allowing the release of gastric acid into the peritoneum. The renal arteries have atrophied entirely, preventing blood flow to the kidneys. Blood acid test results (pH 6.8) indicate severe acidemia, which is a likely cause of death. This is presumed to have eventuated from the release of gastric acid into the bloodstream, combined with lack of kidney regulation of the blood acid balance. Foreword: After Dr Poidevin conducted initial interviews to build trust with SCP-2368, this was the first post-containment interview to deal in detail with the anomaly. As part of information-gathering protocol, SCP-2368 was informed that she remained incarcerated in HM Prisons. As such, Dr. Poidevin assumed the role of prison physician, and addressed SCP-2368 by name. Dr. Poidevin: Fiona, the interviews we have been doing are to help establish an understanding with you about your incarceration here. You have been very helpful so far, and I think we have a good working relationship? SCP-2368: We do indeed. I haven't ever spoken to a prison officer as much as I have to you. I get so desperate just to talk, sometimes. Dr. Poidevin: Well as you may have noticed, this facility is not like other prisons. SCP-2368: It's certainly a lot nicer in here than the last place. Still a prison, of course. Dr. Poidevin: Yes. And as you know, we have a treatment-based approach to rehabilitation, so we need you to give us as much information as possible. SCP-2368: Okay. What do you want to know? Dr. Poidevin: Let's start at the beginning. Can you tell me about your husband? SCP-2368: All that way back? Well… Jack was a tanner, you know? Last of his trade - living out of town, on his own. His hands, I always remember. Such strong hands, and the smell on them sharp and sour, with oak and leather beneath. Dr. Poidevin: And how did you end up marrying him? SCP-2368: The first thing to know is that when I came to Orkney, I was very young. Naive, like. I'd not really been around people, strangers. And Jack was so much older. So I would tease him, and dance around him, and laugh when he wouldn't come swimming in the bay, but I was fascinated with him. I wanted to know him - really know him. And I could tell he wanted me for his own. So one day I kissed him. And he kissed me back, and then that night he took my - well, he took my heart away, put it like that - so there was nothing for it but to be married. But I never poisoned him! Dr. Poidevin: It's okay, Fiona. I'm not here to judge. Why don't you tell me what married life was like with Jack? SCP-2368: What marriage is like? Are you married, doctor? Dr. Poidevin: Uh - yes, I am. SCP-2368: Then you know what it's like. It's a little bit perfect, and a little bit exhilarating, and a little bit of you is lost. With Jack, I learned about what it is to love, and I learned happiness too. I was part of him, and he was part of me. But I wasn't free anymore - I wasn't my own self, able to come and go as I pleased. Dr. Poidevin: You wanted to leave Jack? SCP-2368: No. That wasn't it. I was always close to him, and I wanted that. I wouldn't let him stay away from the house for long - maybe I was jealous. <laughs> But I would look out from our doorway, down to the shore, and know that this was the boundary of my world. The world beyond, where I grew up - he needed me with him, and I couldn't leave him. Not while I was married to him, while he had my heart. Dr. Poidevin: What happened to Jack, how he died - do you know how it happened? Why the same thing happened to Alison? SCP-2368: I - can I trust you, doctor? Dr. Poidevin: I want to help you. If you didn't kill them, I need to know how they died. SCP-2368: I didn't murder them. I mean, I was friends with Ally, too - I wouldn't hurt her! But you won't believe me. You'll think I'm crazy. Dr. Poidevin: I told you, I won't judge. SCP-2368: It's like… no. No-one understands, and I don't have the words - I just keep talking in loops. <pause> I was a dancer, you know. Back where I grew up. We all were - we danced all the time. SCP-2368: And when two people danced together, the rest of the world faded away. The dance became the world, and each partner's dance would grow and change, together. But in Orkney, here, no-one knows my dances. I loved Jack, and I tried to teach him, but - and we had so much time together, to learn. And now, even if I don't want to, the dance goes on, getting faster and faster. <muffled> I didn't know. I was so young. Dr. Poidevin: It's okay, Fiona. Do you want a tissue, some water? It's okay. I think I'm starting to understand. SCP-2368: This, this really isn't like other prisons, is it? SCP-2368: I have to ask you. At our house - mine and Jack's - did they find anything? Dr. Poidevin: What do you mean? What would they find? SCP-2368: He hid it from me, after he took it. He knew I was looking for it, he knew that if I had it, I could come or go - back to my family, to my children. Dr. Poidevin: Slow down, Fiona. Did you say you had children? SCP-2368: Across the water, and waiting for me. I wouldn't have left, you know - not left him, but now my Jack's gone, and I don't know where he hid my - could you look for it, doctor? Find it for me? Dr. Poidevin: What do you want me to find, Fiona? SCP-2368: I can't tell you - I can't. You'll know it, doctor. When you find it. Please. Dr Poidevin: Okay, Fiona - I'll do what I can. Try to get some rest, now. SCP-2368: Thank you, doctor. Thank you for listening. I - I … thank you. Afterword: Searches of the residence of Jack and Fiona Tulloch have revealed no objects of interest to the Foundation. Investigations are continuing in other areas of Rousay island. Following Dr Poidevin's death, contact with SCP-2368 has been reduced, and SCP-2368 has refused to elaborate on the nature of the anomaly or other matters discussed in the above interview.